Metal roofing can last as long as 50 years; it is among the longest lasting materials available for your home. “The new metal” is engineered to reflect away the heat of the sun, making it remarkably energy efficient. Your roof can be steel, aluminum, or copper. You have a choice of so many beautiful “looks” that your neighbors will do a double take when you tell them it’s metal! Call for a free estimate of metal roofing for your home. Call 937-681-8910 for the re-roof professionals. You can cut your air conditioning costs by up to 34%. Look at your bill. Subtract 34 cents from every dollar you spend now on cooling. You begin measuring your savings immediately. Metal roofing in a white or light color will reflect the sun’s rays, rather than absorb them as traditional roofs do. Heat bounces away, rather than pass through to your home. Some roofs made of metal carry the ENERGY STAR® rating, which makes you eligible for federal tax credits of up the materials. Combined with the energy cost savings, the roof will pay for itself over the course of its useful life. Metal roofing is such a durable material, and is so tightly installed, that manufacturers routinely offer 25, 35 and even 50 year warranties. You never have to have it coated, painted, or sealed. The factory color remains vibrant. The patented installation eliminates the eventuality of leaks. The metal will never mold, attract mildew, and definitely will not rust. Metal “standing seams” interlock to be slightly higher than the roof itself; it directs water off of the seam, virtually eliminating the possibility of a leak. You have a choice of different distinctive designs, and each comes in an array of colors. You can have metal roofing that has the look of shingles – in 12 different colors. Another design looks exactly like Spanish tile! There is the classic look, with vertical seams, that is a truly Ohio-inspired design. No! Lightning is not attracted to a roof constructed of metal. The bolt hits whatever is the tallest point. 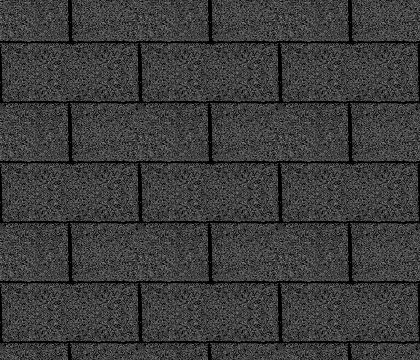 If the highest roof is asphalt shingle, it has as much chance of a strike as metal. However, metal gives you the benefit of being fireproof. The number one cause of damage in a lightning strike is fire. Metal doesn’t crack or bubble. It is engineered to expand and contract slightly when temperature naturally changes between day and night, and between seasons. Metal is not noisier, and a European study confirmed it. Acoustics researchers concluded that metal does not register significantly higher sound levels than shingles. In fact, an insulation layer below metal absorbs and muffles sound. Metal costs more than asphalt shingle, but less that slate or tile.